2014, it’s going to be hard to say goodbye. There was so much to be thankful for this year, but I am definitely looking forward to celebrating NYE & ringing in 2015 in style… with a yummy cocktail of course. 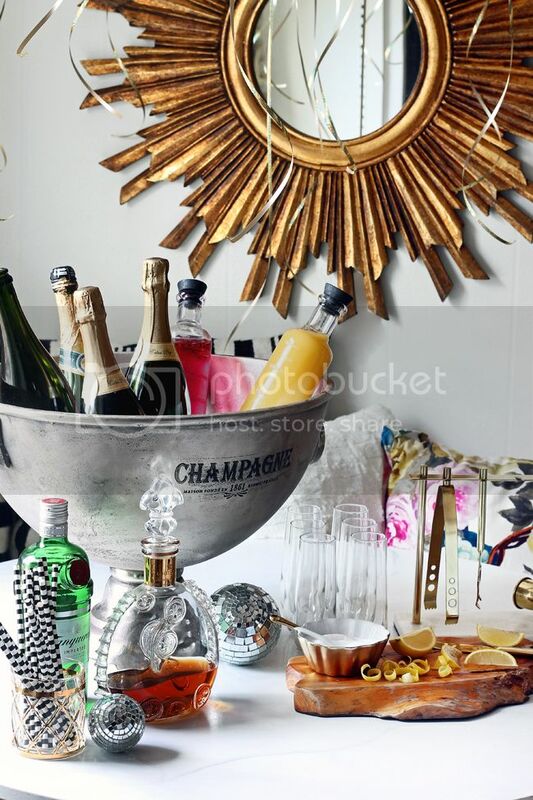 I decided this year to create a Champagne Cocktail Station out of our breakfast nook. Appetizers are always moving around the house, so confining the libations to this area just seemed to make sense. Especially since it gives me the opportunity to show off/break in my huge Champagne Bucket. Isn’t it amazing?! Killer Homegoods find a few weeks back. I am a big fan of Champagne, in any form. But I thought I would give my guests the choice of just a glass of bubbly, or a few other classic cocktails. 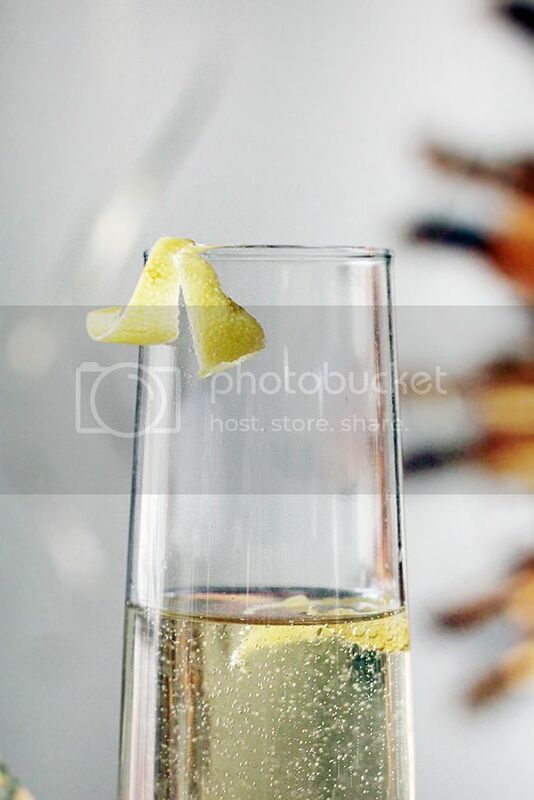 Add the sugar cube to the bottom of the Champagne Flute, & soak with a few dashes of Bitters. Add the Brandy & fill with Champagne. And while not technically “cocktails” there is always the Mimosa (Orange Juice & Champagne) & Poinsettia (Cranberry & Champagne) to enjoy as well! 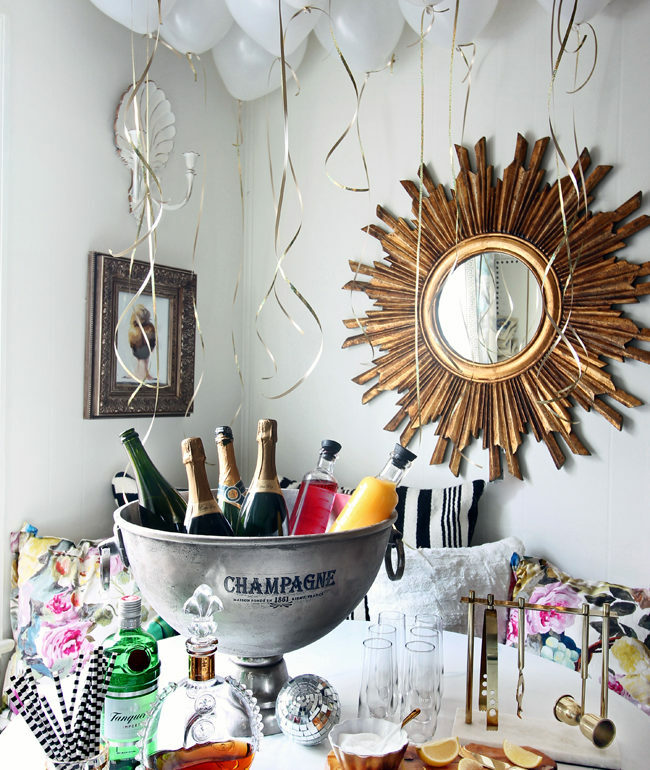 I am so jealous of that fabulous champagne bucket! I've never seen anything that cool at my Homegoods. Happy New Year! those cocktails sound amazing! I'm always at a loss when mixing drinks, but these sound so tasty! Happy new year to you! 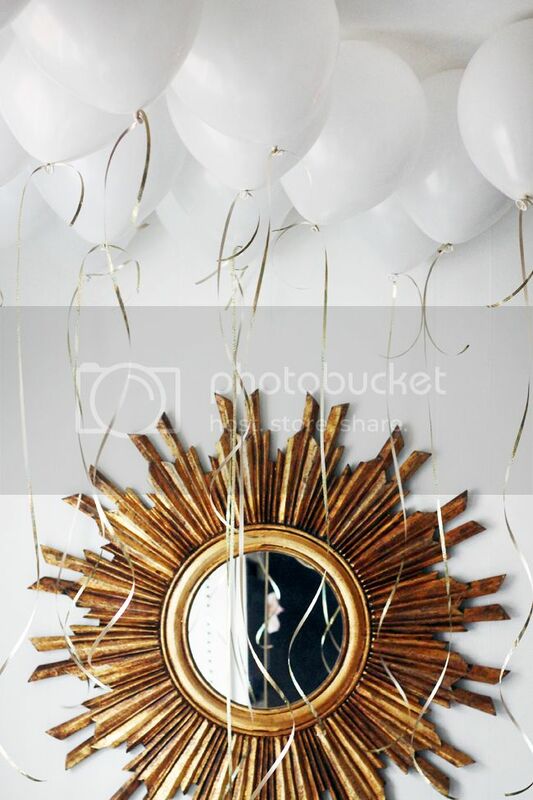 May 2015 bring you continued success and happiness..
Everything looks so pretty and festive! 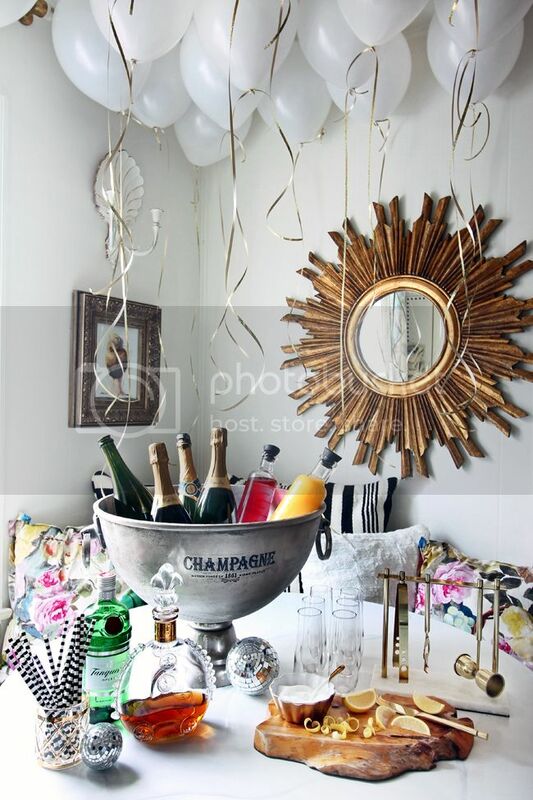 Love balloons and that champagne bucket is awesome! I've never seen one like it. 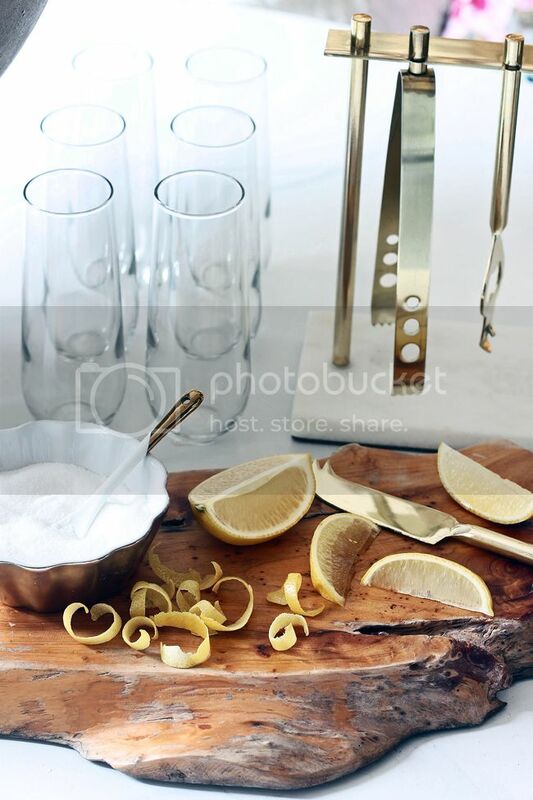 Thanks for sharing the cocktail recipes ~ they sound very tasty and refreshing. This looks incredibly festive! Happy New Year!